If you’ve made a New Year’s resolution to eat more salad, why not go one step further and resolve to make your own salad dressings. It doesn’t take long, the ingredients you need are probably already in your pantry, and the dressings you make from scratch will taste much better than anything you find on the shelves of you local supermarket. If you’d like your vinaigrette to hold together (emulsify) you can add a little dijon mustard or honey. You can also play with the ratio of oil-to-acid based on your personal taste and the boldness of flavor in the acid. If you like your dressing tart, add less oil. 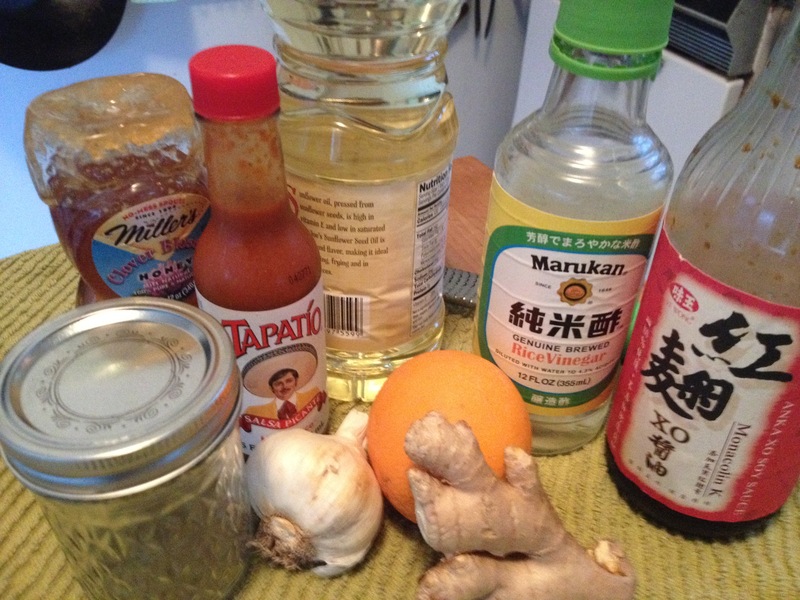 You can whisk together the acid and flavor ingredients in a bowl and then drizzle in the oil while whisking. However, it’s much easier to just put all of your ingredients in a jar with a tight fitting lid and shake vigorously until well mixed. Added bonus: no clean up! You can use a high-end extra virgin olive oil in your vinaigrette, but in most cases the vinegar and flavorings will overpower the oil, so a decent mid-priced extra virgin oil with a flavor profile that you like will do just fine. To balance out the flavor of vinaigrette that seems too strong, add a few drops of water and shake or whisk until incorporated. Keep in mind that extra virgin olive oil may solidify in the refrigerator so you will need to take your vinaigrette out of the fridge an hour or so before you plan to use it and shake to reincorporate the oil. • Whisk together all ingredients except oil until well combined. • While whisking, drizzle in oil until blended. I’ll go beyond basic vinaigrette with a couple of blended dressings that will help shake up your winter salad repertoire in my next post. 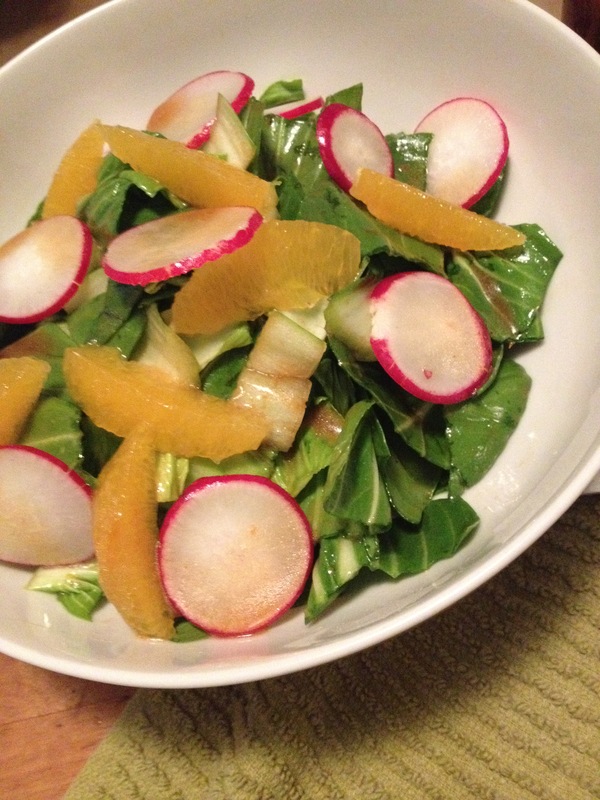 Posted on January 11, 2015, in dressing, food, recipes, salad, veggies and tagged asian, bok choy, food, marinade, recipes, resolutions, salad, salad dressing, teriyaki, vegetarian, vinaigrette. Bookmark the permalink. 1 Comment.